LG recently throw a Lollipop 5.0.2 update for the user of LG G2. Lots of LG G2 owner checked for update in their phone but still show “You are using the latest software version for current OS”. This error comes as Android Lollipop update is not available Over The Air. If you want to install Android 5.0.2 Lollipop update manually on your device than the Android 5.0 Lollipop update released for the European LG G2 is available for you to flash on your device. But you can update without flash your LG G2 by the given follow steps. To update your LG G2 to Android 5.0.2 Lollipop, you need to download some Software from the official website of LG. To get started, visit the official website of LG and look for the support. 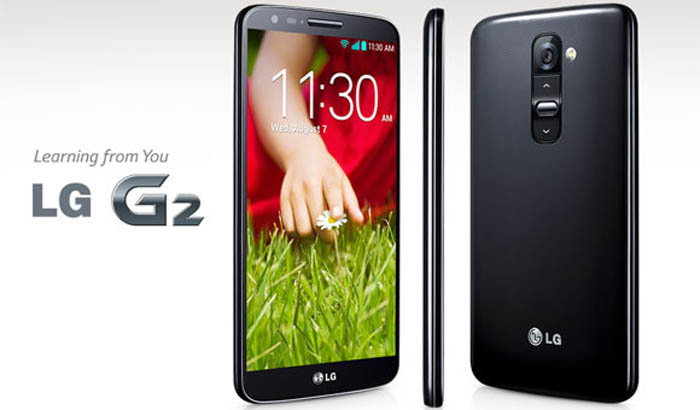 Select Downloads & Manuals from support and select the smart phone and LG G2. Keep in mind that the software update software only works on the Windows XP, Vista and Win7. Check below steps get Lollipop Update on your phone. Click on this link to download required software. Connect your phone to PC by using the USB cable provided with your phone. It will take some time to connect your device. After successful connection with device, You will see “Start Update” and “Install Driver” button. If you found “Install Driver” button enable than you need to install the driver which you downloaded in the step 2. The “Start Update” button will be enabled if your phone needs to upgrade. Click “Start Updating” in the LG Mobile Support Tool to begin Android 5.0.2 Lollipop update. If he phone software upgrade stopped before completion, follow the below steps. Don’t close the update tool, disconnect the cable and reconnect it. And check the USB Driver connection on your PC. After that, please restart the update. Otherwise, please select “Customer Support” – “Recovery Phone” in LG MOBILE SUPPORT TOOL. Then, you can start to recover your phone. The LG G2 Android 5.0.2 Lollipop update using LG Mobile Support Tool works like a charm and you can update hassle free your device without any problem. If you found any problem you can ask us from the below comment form and if you found this article helpful, don’t forget to share it with your friends.